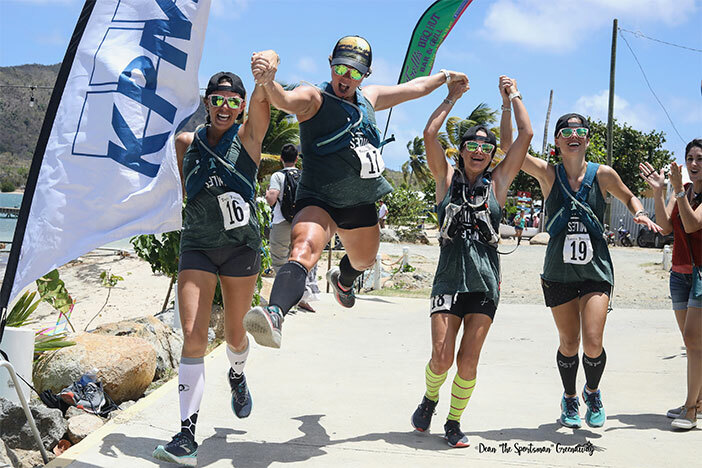 In 2016, St. John’s TJ HIndes didn’t make it past Bomba Shack in the grueling 33.4 miles KPMG Tortola Torture, run over the island’s most rugged terrain, including climbs up Cane Garden Bay and Brewers Bay hills. Hindes covered the course in 4 hours 54 minutes and 33 seconds. Julius Farley, the first local runner was second 4:58.02, followed by St. Croix’s Bill Bohlke in 5:12.55. Farley said he was slowed after his groin started hurting just past the 10 miles mark and he walked all the hills. St. Croix’s Allison Janusziewicz was the top woman in 6:08.54, said she was part of a relay last year, running the first flat 10 miles and decided to do the whole thing this year. Julaine Potgieter, celebrating her 40thbirthday, was second in 6:16.43.